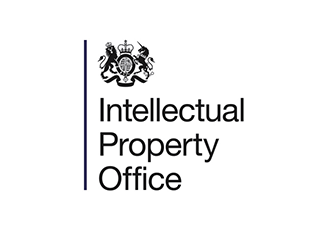 SMEs are losing ground to larger UK firms in terms of innovation. 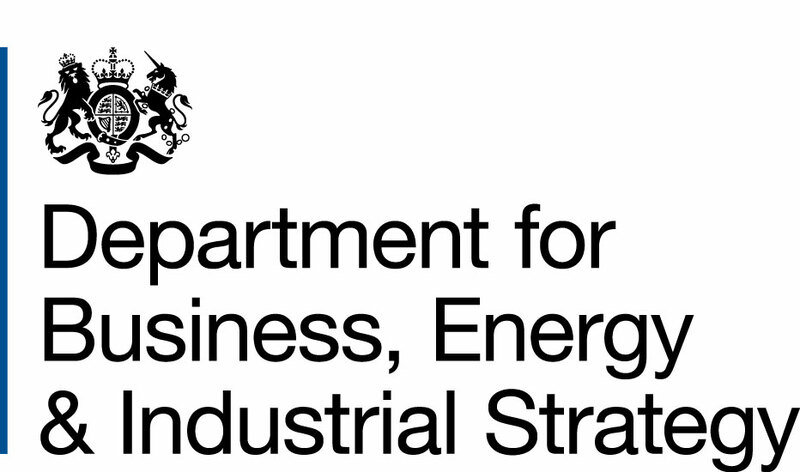 This is one of the key messages in new innovation data recently published by the Department for Business, Energy and Industrial Strategy (BEIS). 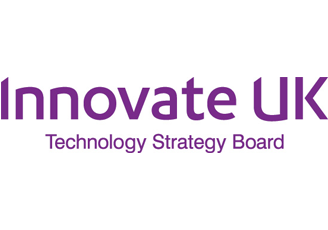 The data taken from the UK Innovation Survey (UKIS 2017) provides the first robust benchmark for levels of business innovation in the UK for two years. 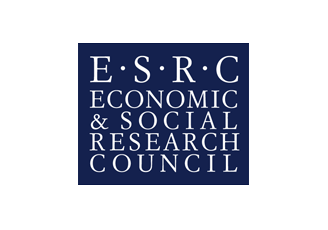 It reports new data collected from 13,194 businesses across all regions of the UK. 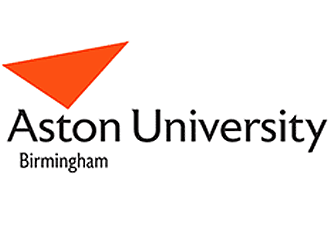 In the survey the percentage of ‘innovation active’ firms in the UK fell slightly from 53 per cent in 2015 to 50 per cent. However, this national figure hides very different trends in smaller and larger firms. Figure 1 tells the story. While the percentage of larger firms which are innovation active rose marginally, the proportion of innovation active SMEs fell sharply. As a result, the innovation gap between SMEs and larger firms has nearly doubled in size from 8 per cent to 14 per cent. Why is this? Well, SMEs have cut back on their investment in new marketing strategies and changes to their strategy and business models. 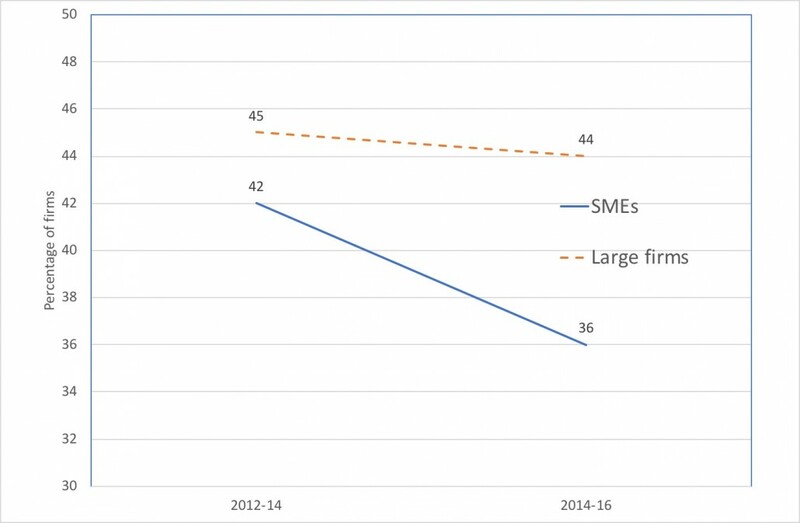 As Figure 2 illustrates, levels of this ‘wider innovation’ fell for both larger firms and SMEs between 2012-14 and 2014-16, but the fall was significantly sharper for SMEs. The overall fall in wider innovation is reflected in other elements of the survey which suggest declining proportions of firms investing in computer software (27% to 19%), computer hardware (24% to 13%), new marketing methods (12% to 4%) and launch advertising (8% to 3%). A small increase was evident, however, in the percentage of firms engaging in in-house R&D (16% to 19%). These negative trends in investment in innovation are particularly worrying given the continuing productivity gap between the UK and its international competitors. They also suggest the scale of the challenge faced by new initiatives such as ‘Be the Business’ as they aim to encourage firms of all sizes to adopt new productivity enhancing innovations. 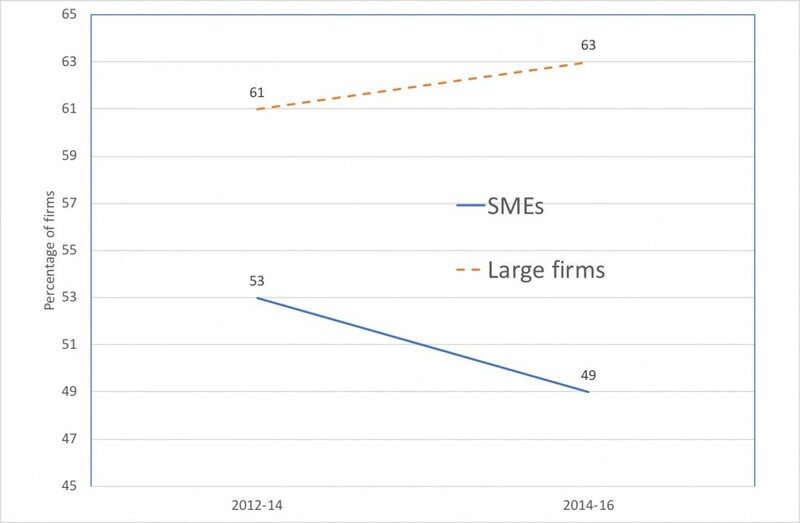 The Innovation Survey does suggest some more positive news, however, with the proportion of both larger firms and SMEs engaging in product or service innovation increasing over the last few years (Figure 3). Overall, the new survey data suggests a rather stable profile of innovation activity for larger firms since 2014. 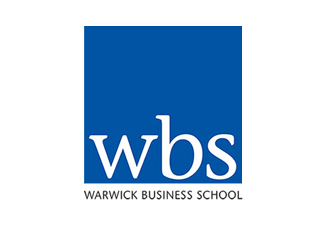 SMEs, however, seem to be adopting a more short-term perspective: placing more emphasis on product or service innovations which may generate value in the short-term, and less emphasis on longer-term investments in capacity or organisational change. Cutting the data by industrial sector suggests the national decline in innovation activity is widespread, with only two sectors (Manufacture of Electrical and Optical Equipment and Real Estate, Renting and Business Activities) increasing levels of innovation activity since 2015. 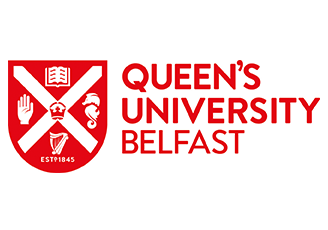 Innovation activity also fell across each of the home nations with the highest levels of innovation active firms in the UK in England (51 per cent) and the lowest in Northern Ireland (40 per cent). The period covered by the new innovation survey data (2014-16) largely pre-dates the Industrial Strategy and the Brexit vote. Whether uncertainty since the Brexit vote has further reduced UK firms’ willingness to invest in innovation is not yet clear. 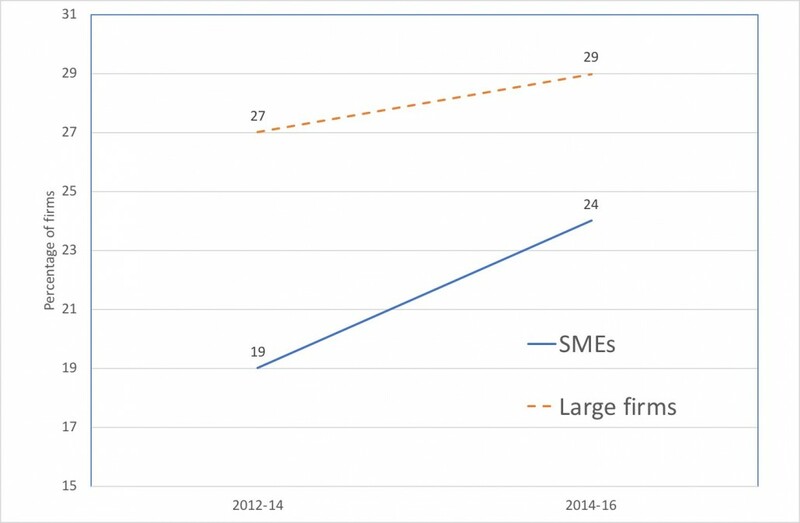 The growing gap between aspects of innovation activity in SMEs and larger firms is clear, however, and reinforces the value of targeted support for productivity enhancing innovation in smaller firms.